Each year more than 3,275 people die and 15,575 are injured in home fires in the United States. To protect yourself, it is important to understand the basics about house fires. Fire spreads quickly; there is no time to gather valuables or make a phone call. In just two minutes, a fire can become life-threatening. In five minutes, a residence can be engulfed in flames. Heat and smoke from fire can be more dangerous than the flames. Inhaling the super-hot air can sear your lungs. Fire produces poisonous gases that make you disoriented and drowsy. Instead of being awakened by a fire, you may fall into a deeper sleep. Asphyxiation is the leading cause of fire deaths, exceeding burns by a 3 to 1 ratio. Every day, Americans experience the horror of fire but most people don’t understand it. In less than 30 seconds, a small flame can get completely out of control and turn into a major fire. It only takes minutes for thick black smoke to fill a house or for it to be engulfed in flames. Most deadly fires occur in the home when people are asleep. If you wake up to a fire, you won’t have time to grab valuables because fire spreads too quickly and the smoke is too thick. There is only time to escape. Heat is more dangerous than flames. A fire’s heat alone can kill. 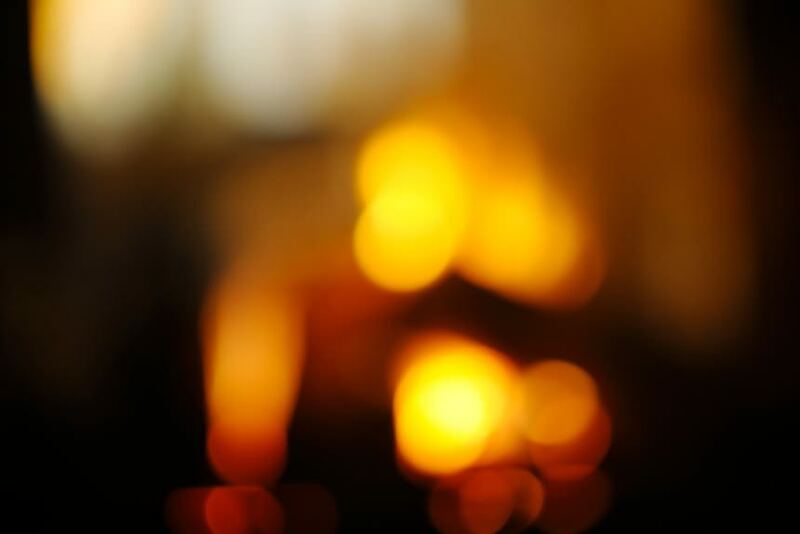 Room temperatures in a fire can be 100 degrees at floor level and rise to 600 degrees at eye level. Inhaling this super-hot air will scorch your lungs. This heat can melt clothes to your skin. In five minutes, a room can get so hot that everything in it ignites at once; this is called flashover. Fire isn’t bright—it’s pitch black. Fire starts bright, but quickly produces black smoke and complete darkness. If you wake up to a fire you may be blinded, disoriented and unable to find your way around the home you’ve lived in for years. Smoke and toxic gases kill more people than flames do. Fire uses up the oxygen you need and produces smoke and poisonous gases. Breathing even small amounts of smoke and toxic gases can make you drowsy, disoriented and short of breath. The odorless, colorless fumes can lull you into a deep sleep before the flames reach your door. You may not wake up in time to escape. Only when you know the true nature of fire can you prepare your families and yourselves. Find two ways to get out of each room. If the primary way is blocked by fire or smoke, you will need a second way out. A secondary route might be a window onto a neighboring roof or a collapsible ladder for escape from upper story windows. Only purchase collapsible ladders evaluated by a nationally recognized laboratory. Make sure that windows are not stuck, screens can be taken out quickly and security bars can be opened. Windows and doors with security bars must have quick release devices to allow them to be opened immediately in an emergency. Make sure everyone in the family understands and practices how to properly operate and open locked or barred doors and windows. Consider escape ladders if your residence has more than one level. Clean out storage areas. Do not let trash such as old newspapers and magazines accumulate. Live near an exit. You’ll be safest on the ground floor if you live in an apartment building. If you live in a multi-story home, arrange to sleep on the ground floor, and near an exit. If you use a walker or wheelchair, check all exits to make sure you can get through the doorways. Make any necessary accommodations, such as providing exit ramps and widening doorways, to facilitate an emergency escape. Speak to your family members, building manager or neighbors about your fire safety plan and practice it with them. Contact your local fire department’s non-emergency line and explain your special needs. Ask emergency providers to keep your special needs information on file. Keep a phone near your bed and be ready to call 911 if a fire occurs. Replace the entire smoke alarm unit every eight to 10 years or according to manufacturer’s instructions. Never disable a smoke alarm while cooking—it can be a deadly mistake. Open a window or door and press the “hush” button, wave a towel at the alarm to clear the air or move the entire alarm several feet away from the location. Only those trained in the proper use and maintenance of fire extinguishers should consider using them when appropriate. Contact your local fire department for information on training in your area and what kind to buy for your home. Crawl low under any smoke to your exit—heavy smoke and poisonous gases collect first along the ceiling. When the smoke alarm sounds, get out fast. You may have only seconds to escape safely. If there is smoke blocking your door or first way out, use your second way out. Smoke is toxic. If you must escape through smoke, get low and go under the smoke to your way out. Before opening a door, feel the doorknob and door. If either is hot, leave the door closed and use your second way out. If there is smoke coming around the door, leave the door closed and use your second way out. If you open a door, open it slowly. Be ready to shut it quickly if heavy smoke or fire is present. If you can’t get to someone who needs assistance, leave the home and call 911, or tell firefighters if they are already at the scene. Tell the 911 dispatcher or the firefighters where the person is located. If pets are trapped inside your home, tell firefighters right away. If you can’t get out, close the door and cover vents and cracks around doors with cloth or tape to keep smoke out. Call 911. Say where you are and signal for help at the window with a light-colored cloth or a flashlight. If your clothes catch fire, stop moving immediately, drop to the ground and cover your face with your hands, and roll over and over or back and forth until the fire is out. If you or someone else cannot stop, drop and roll, smother the flames with a blanket or towel. Use cool water to treat the burn immediately. Cover with a clean, dry cloth. Get medical help right away. Recovering from a fire can be a physically and mentally draining process. When fire strikes, lives are suddenly turned around. Often, the hardest part is knowing where to begin and who to contact. The following checklist serves as a quick reference guide for you to follow after a fire strikes. Contact a local disaster relief service, such as The Red Cross, if you need temporary housing, food and medicines. If you are insured, contact your insurance company for detailed instructions on protecting the property, conducting inventory and contacting fire damage restoration companies. If you are not insured, try contacting private organizations for aid and assistance. Check with the fire department to make sure your residence is safe to enter. Be watchful of any structural damage caused by the fire. The fire department should make sure utilities are either safe to use or are disconnected before they leave the site. DO NOT attempt to reconnect utilities yourself. Conduct an inventory of damaged property and items. Do not throw away any damaged goods until after an inventory is made. Try to locate valuable documents and records. Refer to information on contacts and the replacement process inside this brochure. If you leave your home, contact the local police department to let them know the site will be unoccupied. Begin saving receipts for any money you spend related to fire loss. The receipts may be needed later by the insurance company and for verifying losses claimed on income tax. Notify your mortgage company of the fire. Check with an accountant or the Internal Revenue Service about special benefits for people recovering from fire loss. In addition to insuring your home, EHD is committed to helping you and your loved ones stay safe when disaster strikes. If you would like more information on developing a family emergency plan or building a disaster supply kit, please contact us at (717) 394-5681 or http://ehd-ins.com today.